Going into a bike shop for the first time is hard, you have no idea how the aisles are sorted or what most of the products even are. So how do you keep from drowning and find the stuff you need? Easy, ask! Too often people think they can easily find where everything is, but there is no need to when you have the support of beginner-friendly bike shops. If you are unsure who those shops are, check out My City Bikes. 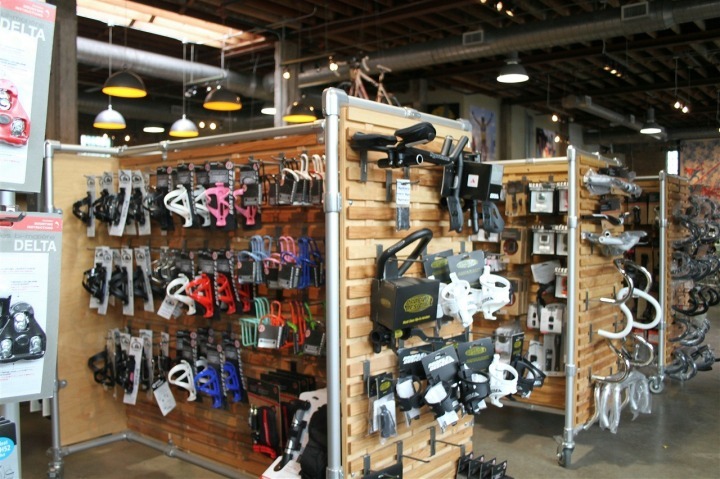 Bike shops are typically sorted in different sections; bikes, parts, tools, accessories, clothing, and the repair station. For a beginner, you will probably stay out of the parts and tools sections for now. If you are not comfortable with repairing your own bike, most of those parts will look like something off a spaceship. 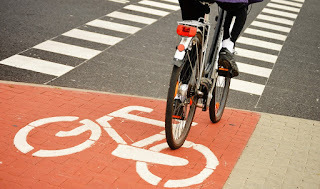 · Bikes- These are typically sorted by type of bike and then by brand. This makes it easy for you to head straight to the area you should choose from based on the bike you want. · Accessories- This is where you will find anything in addition to the bike; water bottles, helmets, locks, clothes, lights, electronics, bike racks, etc. For the most part, those can all be chosen just by what appeals to you, but you may want to ask on recommendations for a good lock. · Repair station- Their work stations are where you will get your bike repaired or just bring for routine maintenance. Take advantage of this section.